Olaf of BBM has sent out the following link list of early reviews for the Embedded Art show at the Akademie der Künste in Berlin. 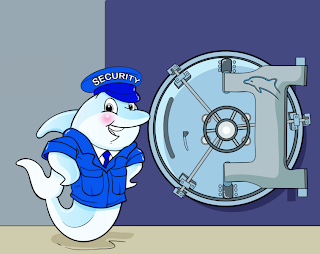 There are, Olaf tells me, 9610 smaller ones online – but I think we can safely assume that only the intelligence agencies are reading those. 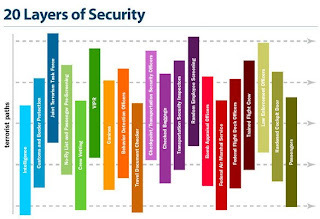 The above image is from the Transport Security Agency, a subdivision of the Office of Homeland Security. Today is another Orange day. The Embedded Art show continues until March 22. How real is real? In an age when disaster seems to exert a specific influence over our collective imagination, the question may seem uncaring – and yet we deal with the spectacle of disaster on a regular basis. 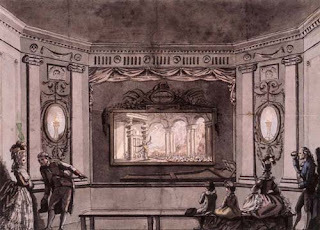 In the late 18th century Philippe Jacques de Loutherbourg – a friend of the British painter Thomas Gainsborough – revealed to an astonished public his Eidophusikon: a mechanical theatre of special effects offering ‘MOVING PICTURES, representing PHENOMENA of NATURE.’ Visitors would faint when confronted with such realistic recreations of storms and high seas and de Loutherbourg’s most famous creation: a scene of Satan arraying his troops on the fiery banks of Hell, based on a passage from Milton’s epic poem, Paradise Lost. Throughout the 19th century, the public was placed inside Panoramas, Dioramas and Cycloramas where they witnessed realistic and lifelike reconstructions of battles, scenes from history and the majesty of the natural landscape inside specially constructed spaces which harnessed painting, modelling and sculpture, spoken-word, sound effects and music to heighten the illusion. During the 20th century, many of these same effects had become systemized within the visual language of cinema and in the structural thrust of urban architecture. From the shopping plaza to the Cinerama screen, what constituted the ‘real’ was increasingly influenced by cultural conventions. But what happens when something comes along that seems too big for the cinema screen and threatens to destroy the tall buildings of the modern city? 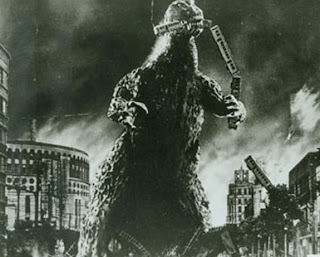 First appearing in Japan as Gojira in 1954, Godzilla went on to become the first monster of the atomic age. However, by the time he came to the West in 1956 he was a very different creature. The assumptions we make over our fantasies of destruction instil within us a cultural double vision. Is Godzilla a radioactive monster created by science, a prehistoric freak of nature or just some guy in a rubber suit jumping around on a miniature cityscape? Such questions take on a completely new meaning in an age of CGI, DSLR cameras and Photoshop. To get some idea of how cultural factors can alter our sense of what is real, compare the original Japanese trailer for Gojira with the US trailer for Godzilla: King of the Monsters! See also the entry 'Catching Up With The Bourbaki Panorama' by clicking here. Top Image: A scene from Toho’s Gojira in 1954: Godzilla attacks the Tokyo rail system. Bottom Image: A drawing by Francis Burney of the Eidophusikon: Satan gathers his forces before the Palace of Pandemonium. From October through to the end of November I worked on a text which would eventually form the basis for the series of posters Rathna would design for installation in the basement of the Akademie der Künste in Berlin as part of the Embedded Art show. As the main title for the piece was a parody of the title for an essay Jean Baudrillard wrote in the early 1970s – ‘Requiem for the Media’ which I first read in ‘For a Critique of the Political Economy of the Sign’ – I decided to add the subtitle ‘Six Degrees of Devastation’, which parodies the main formula of Stanley Milgram’s ‘Human Web’ experiments. I had previously used a parody of Baudrillard’s title for one of my lectures at CSM, but in a slightly different form, referring to ‘networks’ in the plural rather than the singular. At the time I was more concerned with the way in which mainstream media networks appeared to be feeding into one another – a process that had begun during Operation Desert Storm and best reflected in the 300% rise in advertising rates imposed by CNN during their coverage of what has now become known as ‘Iraq 1’. Nearly two decades later, advertisers are pulling money out of mainstream TV as their main target audience – made up of males aged between 18 to 35 – drifts away into other parts of the network. It is also from this group that the majority of soldiers currently serving in Iraq and Afghanistan have traditionally been drawn. In 2004, the year of the previous election, two forms of human counting were still conducted on paper rather than digitally over the web: Nielsen ratings and the votes cast by US military personnel serving overseas. 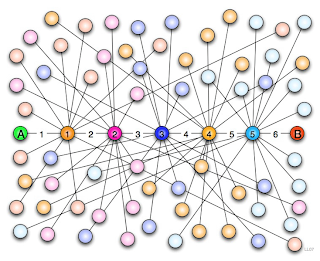 Today, however, increased interest in network theory and network practices has led me to believe that ‘the Network’ should now be referred to as a singular abstract entity in the same way that ‘the Media’ have always been worshipped as an abstract plurality: an electronic pantheon of Hindu deities serving one godhead through their many limbs and attributes. Today we have but the one true Network before us and must respond accordingly. Back in July of 2008 I was introduced by Cecilia Wee to Olaf Ardnt and Janneke Schönenbach of BBM, who invited me to take part in their forthcoming show at Akademie der Künste in Berlin – see the Embedded Art post on January 18 for more details on the exhibition. Olaf and Janneke had heard my Radio 3 feature on the RAND Corporation and thought that I might have something to say on the subject of art that exists ‘in the name of security’ After some lengthy discussion they asked me to devise some kind of chart that would map out the historical relationships between artists, intellectuals and the military-industrial complex. Having previously created a series of seven conspiracy maps for Bizarre magazine under the collective title ‘Only Connect’, in which groups of 30 individual names were intricately linked into specific political conspiracies, I had grown increasingly interested in the process of mapping out complex or highly abstract concepts. History can only ever exist as text. It is only ever rewritten. The great thing about conspiracy theories is that they elevate the incidental to the level of text: one moment is tied another through a complex interweaving of historical footnotes, references and statements. The Warren Commission Report on the Kennedy Assassination is Ulysses rewritten by a committee of political appointees: the events of a single day in a single city, examined from every possible perspective. The initial research for what was to become ‘Requiem for the Network: Six Degrees of Devastation’ began with Herbert Marcuse’s observation, made in One-Dimensional Man, that ‘The Enemy’ is part of the normal state of affairs - not just the state of emergency. Marcuse’s own involvement with the OSS during World War II added an extra dimension to this remark. At the same time I started meeting with designer Rathna Ramanathan – a colleague from CSM who shared my interest in mapping out complex configurations of information – to see if there was any way we could collaborate on the project. 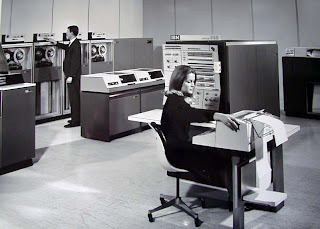 It soon became clear from our conversations that McLuhan’s observation that ‘information overload produces pattern recognition’ – supposedly derived from a 1960s IBM advertising campaign – was going to play a defining role in the development of the ‘Requiem’. Today the Embedded Art show will be opened up to the general public in Berlin for the first time. Over the coming weeks I shall be putting together a series of posts on the development of 'Requiem for the Network: Six Degrees of Devastation' from a collection of sketches, codes and drafts to a sequence of four interconnected A0 posters on display in the secure confines of the Akademie basement. The prospect of a bunch of artists confronting issues of security head-on may seem vaguely risible, especially if you’ve ever been asked to refrain from touching the surface of a Mark Rothko in a museum or gallery, but Olaf Ardnt and Janneke Schönenbach of interdisciplinary culture hackers BBM (Beobachter der Bediener von Maschinen) have brought a certain spunky charm to the subject in their latest show in Berlin. Curated in association with Moritz von Rappard and Cecilia Wee, Olaf and Janneke have put together Embedded Art: ‘an interdisciplinary exhibition focussing on the societal shifts caused by the universal desire for security’. I once knew a small community of not entirely unknown artists today who used to support themselves by working as guards at the Tate Gallery back in the days when there was but the one. At night, when the place was empty, they’d go around picking bits of paint off some of the canvasses and keeping them in glass vials as a sort of tiny permanent twentieth-century art collection. Of particular note was the blob of acrylic paint chipped from the nose of a 1960s Warhol self-portrait: a piece of great art-historical significance, considering how AW felt about the shape and appearance of his nose. Included in the Embedded Art show is the exhibit ‘Requiem for the Network’: the product of a six-month collaboration between myself and the designer Rathna Ramathan. Rathna took the essay I had written for the Embedded Art catalogue (available from Argo Books) and transformed its content into a vast flow chart of historical events, cultural allusions and epistemological shifts. The work’s development from conception to execution has been a long, complex and fascinating one, which will be covered in forthcoming posts. In the meantime, anyone visiting Berlin during the first quarter of 2009 could do a lot worse than visiting the show. Your future well being may depend upon it. Gramophone Records, who released Victor The Robot’s debut Robotika EP at the end of 2007, have recently redesigned their website. VTR now has his own webpage, featuring some new visuals, the background story to the Robotika release, plus a snippet from ‘Clara Bell’, one of the EP’s most haunting tracks. Technical difficulties on VTR’s MySpace page have meant that our favourite robot has been quiet for a while. He will, however, be back in 2009 with a new short film, the follow-up to Robotika and the widest range yet of Electrophonic Sounds. All you have to do is listen. Posts labelled ‘Online Archive’ contain links to essays of mine or videos, sound recordings and other forms of documentation that relate to my work. Just recently I was delighted to discover that the CTHEORY website, run by Arthur and Marilouise Kroker out of the University of Victoria in Canada, is still carrying the full text versions of some of my early work. This is an amazing site and constantly being updated with new material; I’m hoping to contribute something new to it in the coming year. In the meantime, the following three essays are currently available in their full and original form. This is the original version of this essay, written specifically for CTHEORY online back in 1997. A revised version of ‘We Are All Depraved’, also known as the ‘Dead Men in Cars Mix’, the basis of a touring show I created with the Dutch electronic composer Huib Emmer in 1998. This text was published in a Dutch translation by the Gaudeamus Foundation in a beautifully illustrated booklet to accompany the tour. ‘We Are All Depraved’ was further revised in 2006 for a performance at the Roundhouse, in which I read the text with an electronic backing by emergent space rockers Oort. Resonance FM carried a live broadcast of the show and should have a copy of the performance in their archives, but I’ve never heard it. 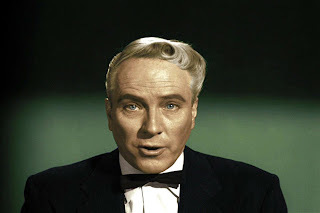 "I am Criswell," he states, his eyes focused on some distant, unseen dimension. "For many years I have told the almost unbelievable, related the unreal and showed it to be more than fact. Now I tell the tale of the Threshold People, so astounding that some of you may even faint." This essay was originally published in the anthology Digital Delirium, edited by Arthur and Marilouise Kroker and published by McMillan in 1997. I am pleased to announce that this prescient collection of essays is still in print – in fact I came across a copy at City Lights in San Francisco last September. In these cities constructed as vast movie sets within which the populace, like so many extras, re-enact endless variants on the same crowd scene, what is on show is less important than the way in which it is viewed. Where, for example, the grand frivolities of Las Vegas are focused and reordered in the camcorder lens of the wandering tourist, Saddam Hussein's Baghdad has become reconfigured for Western audiences by the optical telemetering of the guided missile. Who can survive the shock of being seen in such a fashion? This is the essay that started it all. 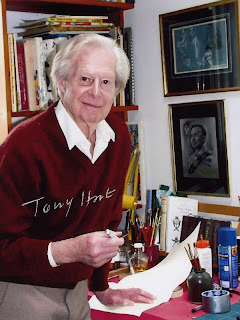 First written for a conference on the Future held at the Korzo Theatre in Den Haag in the summer of 1995, ‘Criswell Predicts’ is a preliminary sketch for what would become Welcome to Mars, and some of the imagery and themes found in the chapters on 1956 and 1959 can be traced back to this essay. Looking at it now, there are a few things I’d probably want to sharpen up and revise just a little. Otherwise, I’m still very happy to put my name to it. Los Angeles. The lights go up inside the darkened shell of Merle Connell's Quality Studios, and the Amazing Criswell, his hands arranged neatly on the desk in front of him, stares confidently into the lens of a whirling movie camera. "Greetings, my friend," he announces cheerfully. "We are all interested in the future - for that is where you and I are going to spend the rest of our lives." A cold wind starts to blow in from the Other World. Beyond the lines of quietly parked cars and the soaring sky-scrapers of fabulous L.A., strange forces are gathering. It is some time towards the end of November 1956, and the fate of the entire human race hangs in the balance. Criswell knows that time is slipping by: that the film in which he is appearing is more than real. It is as urgent and as immediate as life itself. He will only get one chance to say what he has to say. There can be no re-takes: the budget won't allow for it. Things that come from ancient stars aren’t ever going to leave the world the way they found it: just think of the birth of Jesus – or Superman, for that matter. Either way, the Perry Como and Arthur Lyman Christmas albums were put aside for the holidays this year in favour of an advance copy of From An Ancient Star: the latest release from those incredibly deep traffickers in ideas, images and sounds, Ghost Box. A new project from Belbury Poly is always a pleasure at the start of any year; and this one comes as a particularly timely reminder of just how fantastic the effect can be when music, text and design all come together to form one narrative package. Due out officially at the end of January, From An Ancient Star is the perfect Christmas album for any pagan in their right mind, which is why I don’t mind recommending it at a time when the twin-faced Janus still holds sway over our lives. To say this one shimmers and scintillates is to also emphasize that in the twinkling of a star, darkness and light can be found alternating wildly with each other. There’s always going to be something creepy about the notion of an ancient star, no matter how much the sound of it sets you dancing: listening to what Belbury Poly does with the concept is a little like trying to read a John Wyndham novel by the light of a spinning glitter ball. The Tomorrow People just got a makeover courtesy of Carl Sagan and Nigel Kneale – and we’re all better people for it. A recent posting on Boing Boing by my friend David Pescowitz has served to remind me of my visit last month to the Bourbaki Panorama: a late-nineteenth century panoramic ‘entertainment’ housed in a custom-built roundhouse right by Lake Lucerne in Switzerland. It was created in about 1880 to commemorate the retreat of the demoralized French army after their defeat by the Germans in 1870/71. It’s predominantly the work of Swiss painter Edouard Castres and called the Bourbaki Panorama after the French army’s general who made an unsuccessful attempt to commit suicide after the defeat (talk about leadership skills...). 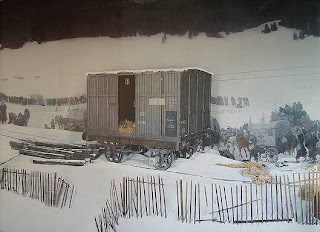 A large number of modellers and painters, including leading modernist Bernard Hodler, worked on the 360-degree diorama, which is a spectacular blend of life-size wax mannequins and a continuous painted backdrop - the whiteness of the snow helps cover the transition from 3D to 2D, but it’s the use of telegraph wires, train tracks, stretchers and cattle cars to suggest shifts in distance and dimension that is particularly skilful. Unfortunately they’re really strict about taking photographs of the panorama – these are only a handful I found on the web, together with one of Castres’s canvasses to remind us that it’s a painterly space we’re discussing here. Meanwhile the Bourbaki Panorama remains something you’ve got to go visit in person. Just like a 3D IMAX screening. I wrote to David about visiting the panorama before Christmas, thinking he’d find it interesting, and reminded him of it again recently, as I hadn’t heard from him in a while. 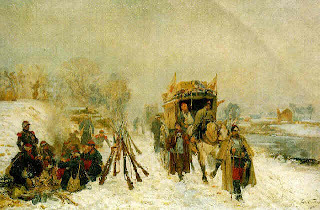 His use of an extract from my original email in the resultant post has served as an important lesson in how informality remains an important element in the useful pursuit of online communication: there is, as I am constantly finding, a moment when the urge to revise becomes an excuse for hesitation – and who knows where that will lead. The other big reason why I recommend visiting the post is to follow the incredible exchange of comments that has ensued: it practically constitutes an index of immersive environments in itself.